Lion’s Gate | What Did You Say? 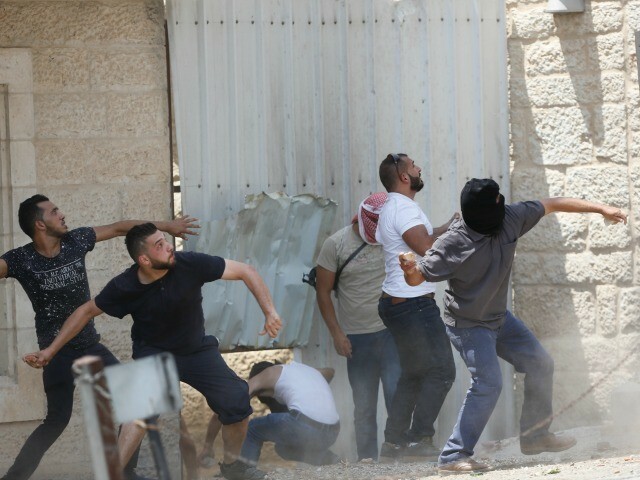 JERUSALEM — Three Palestinians were reported killed and over 200 were wounded in clashes with Israeli security forces in Jerusalem and the West Bank as Palestinian leaders urged a day of protest purportedly against Israel’s decision to put metal detectors at entrances to the Temple Mount. Protest leaders, including top Palestinian officials, claim the metal detectors are part of an Israeli conspiracy to hamper Muslim worship at the Mount, the holiest site in Judaism and a site considered holy in Islam. The activists and Palestinian officials seemingly fail to note that Israel’s new security measures were put into place in direct response to the murderous Palestinian terrorist attack at the Mount last Friday in which three assailants somehow smuggled weapons onto the site. The metal detectors will protect all visitors to the Mount, including Muslim worshipers. The activists protesting at the Temple Mount ignore that metal detectors have been in place for years for Jewish and Christian worshipers accessing the Western Wall. And Muslims on the Hajj pilgrimage pass through metal detectors at airports and border crossings. As a result, Israeli security forces erected checkpoints at main entrances to Jerusalem and are blocking several roads leading to the Temple Mount area. Some 3,000 police forces were deployed to Jerusalem’s Old City in addition to five Israel Defense Forces battalions that have been put on standby. The Palestinian Authority’s official Wafa news agency said a 17-year-old was killed in Ras al-Amud outside the Old City after being shot by a “settler,” though no shooter was identified; the term is often used by Palestinians to refer to any Israeli out of uniform. 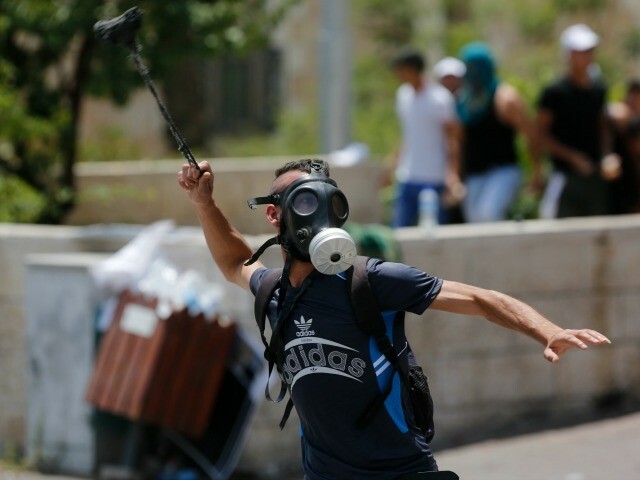 The Palestinian Health Ministry identified the teen as Muhammad Mahmoud Sharaf from the East Jerusalem neighborhood of Silwan. A second person was reportedly shot in the A-Tur area of east Jerusalem and died of his wounds at Makassed Hospital in East Jerusalem. The third death reportedly occurred in Abu Dis in the West Bank, near Jerusalem, according to the Palestinian Health Ministry. 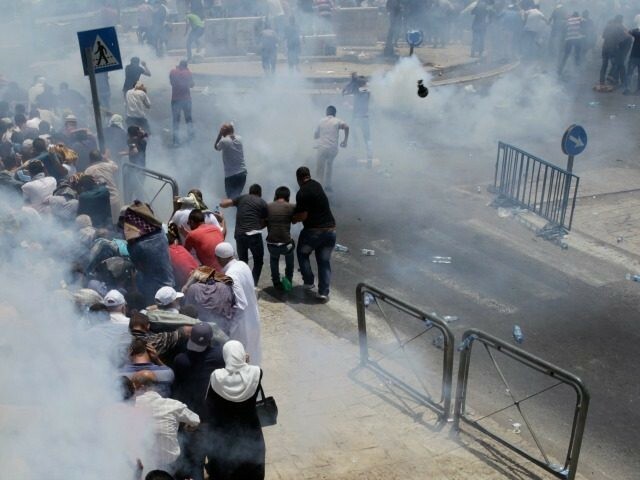 Over 200 people were reported injured in the clashes across Jerusalem and the West Bank on Friday, the Palestinian Red Crescent said, adding that the injuries were incurred from live bullets, rubber-coated bullets, burning and tear gas inhalation. 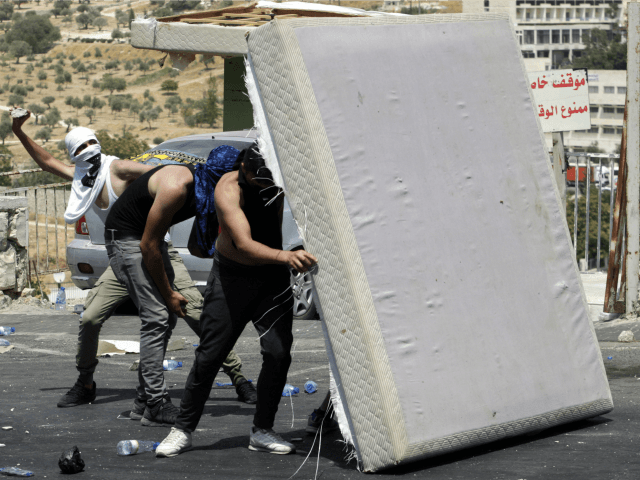 There were reports of other clashes between Israeli forces and rioters across eastern sections of Jerusalem and in several West Bank locations, including checkpoints. Some of those arrested included officials from Palestinian Authority President Mahmoud Abbas’s Fatah party. According to Palestinian reports, 10 residents were arrested in east Jerusalem, among them were Fatah officials. Four Israeli police officers have been reportedly injured in the clashes after being struck with stones and flares. The Palestinian charge that Israel is hampering Muslim access to the Temple Mount is contradicted by facts on the ground. Israel allows the Jordanian-controlled Waqf to serve as custodians of the Mount and grants Muslim worshipers access to the site 24 hours per day, seven days a week with the exception of rare instances of security threats. Jewish and Christian visitors, however, are restricted by the Waqf from visiting the Mount except on small tours for about two hours per day. The Waqf does not allow non-Muslims to pray on the Mount or bring holy objects to the site; whereas Muslim prayer is unrestricted. Waqf representatives closely monitor non-Muslim visitors to the site and are known to boot those engaging in prayer. Israel on Thursday partially blamed the United Nations Educational, Scientific and Cultural Organization (UNESCO) for helping to fuel anti-Israel incitement regarding false threats to the Temple Mount. “UNESCO is a full partner to the false incitement by Palestinians and radical Islam who claim that Al-Aksa [Temple Mount mosque] is in danger,” Israel’s ambassador to UNESCO in Paris Carmel Shama HaCohen said. The Temple Mount is located in Jerusalem’s Old City, and last Friday’s attack occurred near the Lions Gate, part of Jerusalem’s ancient walls singled out by UNESCO.